Now that we are well over half-way through the NFL season and the NBA season has already put some fans in the mind of ‘maybe next year’ there are quite a few teams to choose from when it comes to wanting a challenge or simply some sort of revival story to build a team around in a sports game. Kansas City – Romeo Crennel has made Brady Quinn the starting QB in KC. Can you take this team of terribad from laughing stock to the playoffs? You will have plenty of youth to build around such as Eric Berry, Jamaal Charles, Dwayne Bowe and even Glenn Dorsey. Your first goal should be finding a decent QB to help this team achieve greatness. 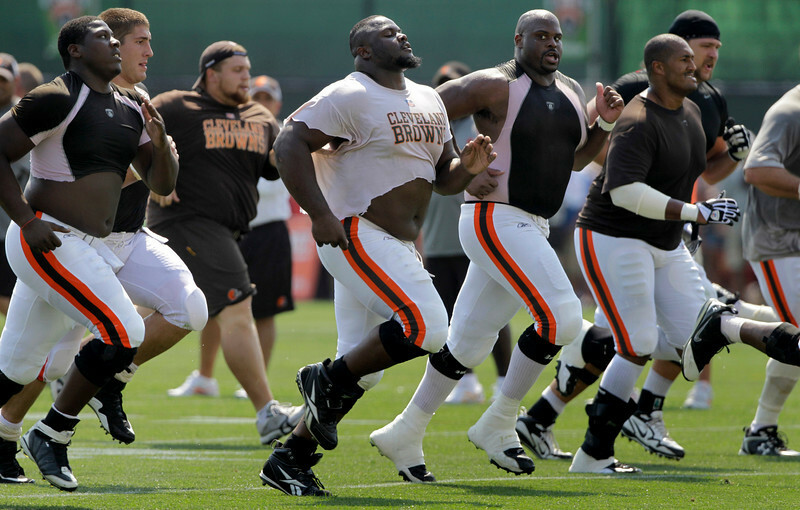 Cleveland – The Browns are a perennial sad sack. While this is a team that has consistently under-performed there are multiple ways for you to take Cleveland to the next level. There are a lot of great young players on this team, but you will need to make a quick decision on whether to keep Brandon Weeden or move on in one of the upcoming drafts. Arizona – Once again, you are getting ready to take a team that needs a QB answer (and fast)… see a theme here? The Cardinals have a couple decent players to build around, but you will have to take your time and figure out how to answer some tough questions – including whether or not you want to keep Larry Fitzgerald around if you don’t have a QB to throw him the ball. That could result in a lot of decent trade offers if you decide to put him on the trade block as well. While it may sound crazy, it is something to consider. New York Jets – The Jets are a mess. One of the best things that could happen to this team is to get rid of their QBs… all of them. Then make a few decisions about how you want to build this franchise from the ground up. There are some players like Stephen Hill at WR that could be nice projects to build around, but then you have players like Darrelle Revis, Santonio Holmes and Shonn Greene that could be moved for draft picks so that you can build a team made to last rather than a team built to make headlines for publicity stunts (see Tim Tebow). Jacksonville – More than just a team that has no real talent, they are constantly a threat to be moved to Los Angeles. Since EA Tiburon took the option to move your team to another city out of the game (they enjoy taking features away) you have to make moves and stay in Jacksonville to make this team better. If you win three games in your first season you can consider it a somewhat successful year. Get a new QB, trade away MJD and do your best to find some talent for this team that seems to be the biggest laughing stock of the NFL. Carolina – The Panthers are one of the few teams on this list that have a QB in Cam Newton. On the other hand, they have a lot of other places on their team that need vast improvement. While they have a great MLB in Luke Kuechly they are pretty much limited to having just those players to build around. Make use of the trade block and build this team around future picks that you can get from trading away players like DeAngelo Williams, Steve Smith, Jonathan Stewart, Chris Gamble and any other player you can do without. Dallas – Talk about a team that makes you scratch your head. The Cowboys are consistently picked to be a playoff team but in the end it is their egotistical owner that really makes the worst decisions for the future of this team. Make a new story for the Cowboys that will allow them to make smart personnel decisions. This means getting rid of the most overrated QB in the NFL – Tony Romo. Also, you may want to consider getting what you can for DeMarcus Ware. Oakland – The first step in this team growing was the death of the Crypt Keeper, Al Davis. The next step is building this franchise to be more than glorified Speed Ratings. Make a decision on how you want to build the offense and defense – that means possibly taking a chance on Terrelle Pryor or going in a totally new direction. Then start building the defense into something to be feared like it was in the 1970s. Cleveland – The Cavs are a young team that has a cornerstone in Kyrie Irving but that isn’t enough as they need to work on getting this talent to be more than potential prospects. They need to grow up fast and that could mean a lot of work for you in Association Mode. Washington – The Wizards are laughingly bad. Sure, John Wall is amazing – but really they are flatout awful. Get ready to trade a lot of your best players like Okafor just to get some prospects. Detroit – Only a few years ago the Pistons were powerful and feared. Now they are hilarious to watch on the court. They look more like a team getting ready to face the Globetrotters than an NBA team at times. This is a team built around unwanted journeymen and bad trades. It will take you a few seasons to turn them around – but it will be worth it. Sacramento – Considering the fact that the Maloofs are looking to move this team to Las Vegas, you can tell that they are in need for some improvement. The Kings were once one of the best teams in the west, but now they are often forgotten when people talk about NBA teams. I forget they exist half of the time. I call them the Wizards of the west. New Orleans – This team got the equivalent of a bailout from the NBA. Chris Paul said bye-bye and now they are being built around the unibrow of Anthony Davis. New Orleans needs more than yet another Kentucky product with an IQ less than his scoring average to turn this team around. Orlando – Dwight Howard is gone. This move was similar to that of LeBron James leaving Cleveland. How will you bring the magic back to Orlando? Cleveland – Talk about a team with a chance to make big strides with a new manager. Terry Francona is the new skipper and you will have to make a few moves to bring some pitching and power to this lineup. Houston – Do something… anything. Even if it means creating a steroid infused Roger Clemens to come back and pitch this team to at least 20 wins. It is a bad time to be an Astros fan, but now that they are moving to the American League it could make for a fun journey… albeit – a long and tough one. Colorado – They made an incredible run a few years ago, but this team needs pitching in the worst way. Take it upon yourself to manage the thin air and find a way to make Denver cheer for a team not called the Broncos. Miami – They just fired Ozzie Guillen and now they are selling off their players. This is a team that will take a lot of patience to build into more than a one-year wonder. Do it the right way and you will have something to be proud of in the end. Pittsburgh – This team was on the cusp of making the playoffs in 2012. Take the power in the steel city and bring this team back to their past glory. They have a great ballpark and with players like McCutchen to build around it could be a lot of fun. Oakland – One of my favorite movies of the last few years was Moneyball. Billy Beane took a chance in using stats and fantasy baseball type of projections to build his team. Take it to the next step and help them win it all. Seattle – My favorite player of all-time is Ken Griffey Jr. When I saw him go back to Seattle to finish his career it was bitter-sweet. I would love to see this team be more than just a great pitcher like Felix Henandez – they need better players and that starts with you making the moves to bring the talent back to Seattle. Who cares? The NHL season is dead and the sport of hockey on its way out of almost every person’s consciousness. Pick any team you want – but the best of the worst would be the Columbus Blue Jackets. While there have been a lot of detractors (yours truly included) coming out against EA’s decision to keep roster editing out of Madden 13’s Connected Careers Mode, there are some things to consider before you decide to hate it entirely. There is something behind not having control of every aspect of rosters once you start a franchise mode or dynasty. The biggest (most obvious) downfall is if the coding for progression and regression is bad (see Madden 09, 10, 11, etc.). 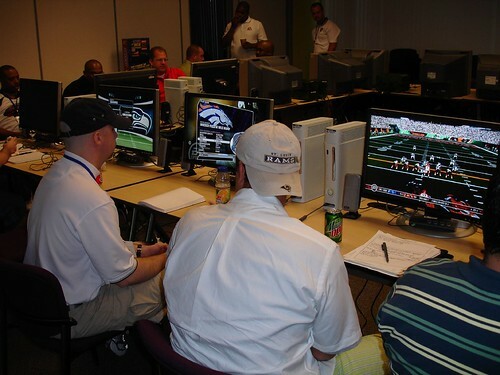 However, if the coding and player development is good (see the possibilities for Madden 13’s new XP system) you might have one heck of a deep career mode that will allow you to truly develop players and teams as you feel they should. If you edit Phil Dawson to have 99 Kick Power and Accuracy you should have to pay for it. In Madden 13 you have to earn it rather than change it. 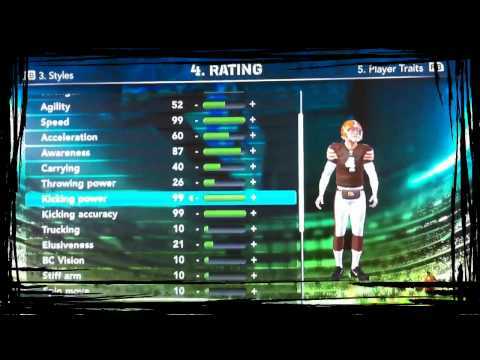 In Madden 12, they opened up player editing during Franchise Mode and it was/is awesome. However, the downfall is that you have to really find a way to be honest about your edits and then make sure that you do the same thing for other players and teams across the board. If your player did well but didn’t progress as you feel he should have, you had the ability to make sure his ratings went up as they’should have’. The problem with this is that it can ruin the longevity of a Franchise Mode when you have a team that becomes too good either because you edited them that way or you are just great at using the fastest players in the game. It is nice to develop a great team, but it is even nicer when you have to spend points and be honest with how you go about it. If you want to make Brandon Weeden have 99 SPD, you will have to spend a ton of points to do so. While this seems unrealistic, ask yourself how much more realistic it would be if you simply went in and edited him to be that way. It wouldn’t be realistic at all and you are now stuck looking at Madden 13’s lack of player editing from a more honest perspective. The main problem with Madden’s Franchise Mode in-particular has never really been in progression/regression anyway. The issue that is the most obvious is the way players and draft picks are valued. A player might come in and do an amazing job out of the blue (Matt Cassel for Tom Brady in 2009 is one example). He then went on to get a big contract offer from the Chiefs where he has been average/above average at best. The moral of the story is that Madden hasn’t ever really taken this into account. The player’s value has always been based around his ratings (OVR mostly) and that isn’t how business is always done in the NFL (unless your name is Al Davis (RIP)). For Connected Careers to work as it should, there needs to be a better value system for players that forces teams to have to make decisions on whether or not the player will work in their Franchise and system. This is the next aspect that has never been in Madden…. Do players FIT THE SYSTEM? The Patriots and Bill Belichick drafted a player out of Ohio State that played more rugby than football. They also picked up Danny Woodhead and made him into a valuable part of their team (and he is only 5’8″ 195lbs). Woodhead is small, but he works for their system. There are other examples such as different defensive schemes such as the 3-4 and 4-3 that require different styles, sizes and speeds for defensive linemen and linebackers. There are certain offensive schemes that don’t require a receiver to be fast as long as he can run good routes and catch the ball (West Coast). Do you think someone like Tim Tebow would succeed outside of Denver if he had to take every snap from the center rather than playing college-style? If you run a 3-4 offense and need fast, athletic linebackers the last person you want to look for is going to be an average speed 6’5″ 270 lbs… you will most likely want to look for a fast and lean 6’3″ 240 lb mean S.O.B. that doesn’t care about anything other than ripping faces off of QBs. Every position is important, but in Madden that doesn’t seem to be the case. Again, say what you want about real-time physics and other improvements. Those are needed and extremely valuable, but when it comes down to longevity for their most vaunted mode and biggest overhaul in years EA needs to make sure that more than just ratings truly matter. Two people are applying for a car sales job. The first person is fresh out of college with a degree in marketing and experience working a retail sales job part-time. They have a good, confident attitude to eventually work at the corporate level and maybe someday head up a department or possibly their own company. The second person graduated from high school and then spent two years at a community college. They have a strong personality and make you feel like you have known them forever. They are also from the region and have strong ties to the area. Who gets the job? The second person gets the job. Why? Because they fit the system. Over the past two decades it has been a fixture in sports gaming. On occasion it has even been hailed as one of the best games of the year in that genre. However, the Madden Franchise has fallen on hard times as of late and it looks more like Tiki Barber trying to make a comeback rather than Brett Favre making a Super Bowl run after his 2nd retirement. Either way it goes and however you view the analogy – Madden is getting worse every year. Only a few weeks ago we were looking at Madden 13 as the rebirth of a franchise after a long drought. Now it seems as if it has lost its luster and even its marketing steam. The NFL season is set to start in just over two months and Madden is slated to come out in the middle of Pre-Season games. How on earth can it be that this game doesn’t have a single commercial in wide circulation or even some sort of hypemobile rolling through forums drumming up blind support? While it isn’t terribly surprising to see a sports title come out and grab the core audience, it is rather shocking to see the publisher pretty much throw in the marketing towel this early/ late in the game’s development cycle. With high profile titles such as Halo 4 and Call of Duty coming out within a few months of Madden, it is going to be interesting to see how EA’s sales for their football games perform without any real concerted effort at this point. Madden has its core of fanboys out there that live up to the stereotypes of sports gamers with false bravado and a sharp case of ego-stroking football knowledge that should place them at the sidelines of any local youth football game screaming at children as they try to live out dreams they never should have had in the first place. These gamers tend to ruin the online experience as they exploit the poor animation and AI system in order to rank up the leaderboards or win some sort of digital league. 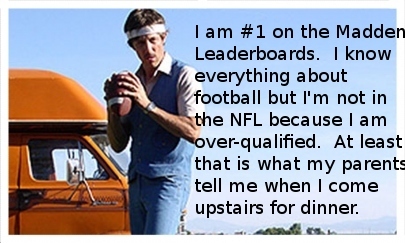 The typical Madden Online/Tournament gamer. The rest of the Madden fans out there don’t even play online. They want a game that focuses on Franchise Mode/Connected Careers and some sort of longevity to keep them coming back. Sadly, it looked like a promising year for this group of fans until EA dropped bombshell after bombshell crushing the dreams of franchise fanantics (yours truly, included). It seems that the time has come to call EA on their bluff. They have been bluffing for almost seven years now and there are still people out there folding under the pressure to buy this game on release day. Are you buying Madden this year? Are you avoiding it like the plague?… Or, are you simply going to wait it out a little while and see what the reviews look like? Author NoobTubeTVPosted on July 1, 2012 Categories Gaming Blogs, News, ReadingTags Connected Careers, EA, EA Sports, Franchise Mode, Madden, Madden 13, Madden 13 preview, Madden 13 Review, Madden 13 Rosters, Madden Franchise Mode, Madden Tournament, RatingsLeave a comment on Does Madden Matter Anymore?